The Astral TR1 aims to be one shoe for every adventure. Can it live up to the challenge? Have you ever looked at your pile of shoes and wondered if you could get away with just using one pair for the day, every day? One pair to run, hike, bike and paddle? 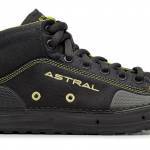 Astral released a shoe line in February intended to do just that called the TR1 series. I personally beat the you-know-what out of the Mesh model and comfortably stand here today to relay my findings. The bulk of this review will focus on the Mesh model. But I’ll be sure to share some distinguishing details on the other models. Let’s get into it. The Astral TR1 series comes in three different models (Trek, Junction, and Mesh) and cost between $120 -$130. The whole TR1 line is designed around four fundamental aspects – balanced geometry, cushioned support, sticky G Rubber outsole, and water readiness. The TR1 Mesh is light (9.87oz) is made of ripstop nylon mesh. The Trek and Junction are a couple ounces heavier and built with Astral’s burly hydrophobic canvas. The build on each model remains similar among each offering. The tacky outsole is studded with 5mm lugs and totes a 1mm drop from heel to forefront, 21mm heel – 20mm ball. Upon asking why Astral opted for a 1mm drop instead of a zero drop platform, I was told Astral wanted to promote more efficient biomechanics with the near zero drop platform. They noticed the heel often wears down quicker than the forefoot on a shoe. By giving users an extra 1mm in the heel, Astral aims to extend the life of their footwear. In terms of water readiness, the TR1’s received the stink-free treatment with Polygiene treated insoles. It also has hydrophobic canvas/mesh, and draining midsoles. The cushioned midsole with top shank was strategically paired with an approach shoe sticky rubber (G15) outsole to keep you stable and comfortable all day while keeping you on all two’s in any environment. 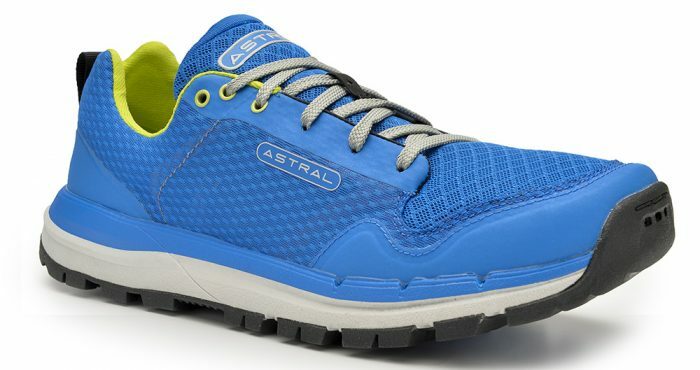 I’ve always been a fan of innovative companies who aren’t afraid to push the envelope, but after hearing that Astral made a shoe I could supposedly paddle, bike, hike, run, and work in, I was hesitant. 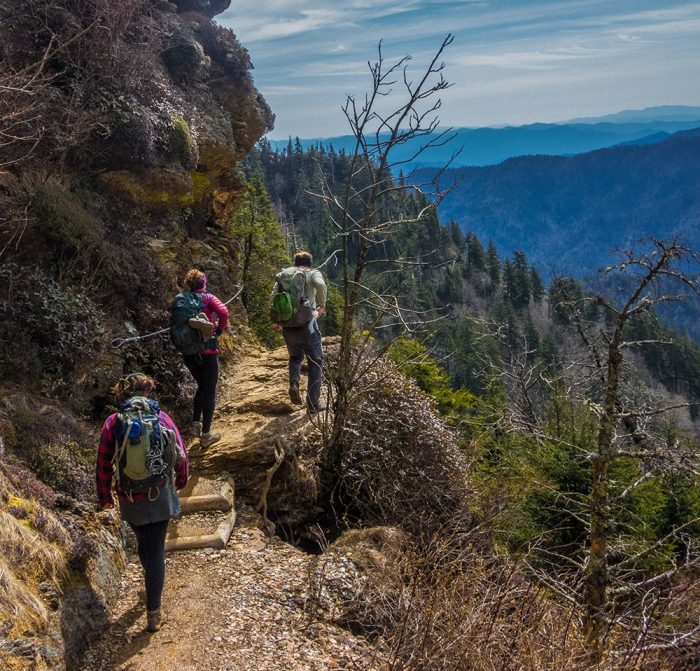 From thru-hiking the Appalachian Trail in Luna Sandals to averaging over a marathon a day in Altra Lone Peaks during a Pacific Crest Trail thru-hike, I’ve experienced a whole spectrum of footwear offerings and thus have high standards for any style of footwear. After daily wear, a number of ultra-marathons, and every style of terrain I could find, I can confidently say that TR1 series is an outstanding footwear line. I like to base my rating of a shoe on three criteria – Fit, Function, Durability. 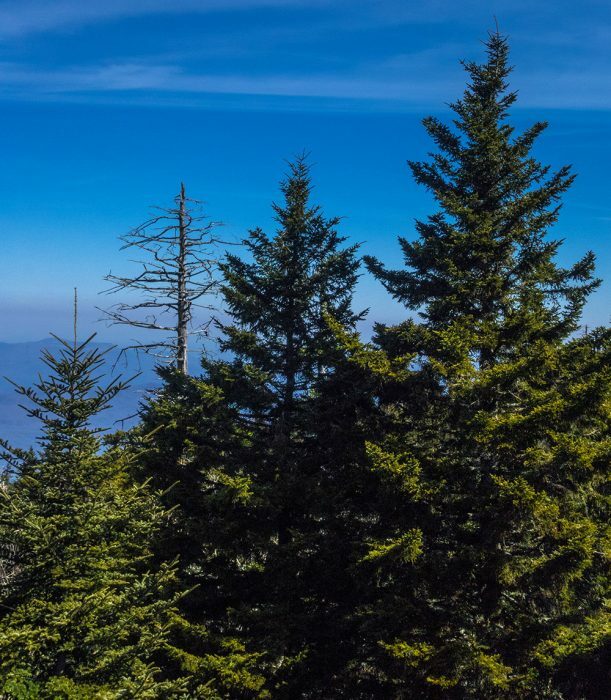 I most recently wore the TR1 Mesh on a 29 mile run in Great Smokey Mountain National Park. Like the many long runs prior, I experienced zero blisters and all-day comfort. The mesh upper and wide toe box is comfortable and unrestricted. The midsole is a little stiffer than other shoes I’ve worn. 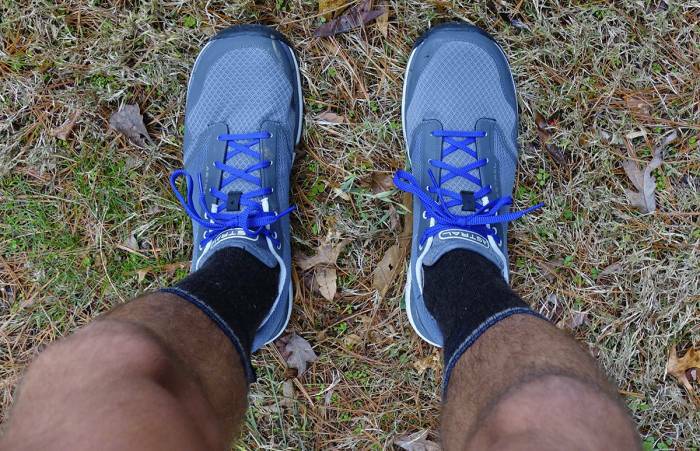 However, a stiffer sole didn’t equate to less comfort; rather, it gave me better tracking while running and more confident foot placement when navigating rocks and creeks. I’ve worn this shoe in per near every situation shy of a wedding. The near zero-drop platform, paired with a tacky outsole kept me balanced and anchored on every surface. The G15 rubber grips like the floor of a college bar — it’s sticky. For the first time in memory, I only brought one pair of shoes on a recent cross-country trip. I brought the TR1. Each model is casual enough for everyday wear and is plenty capable handling any outdoor activity I plan, or don’t plan, to do. I personally ran in the TR1 more than I hiked or paddled, but I’ve found that long distance running does an excellent job testing a shoe’s ability to handle the rigors of the trail. Upon writing this review, I’ve put roughly 300 miles on the TR1 Mesh. They remain in excellent condition and don’t smell near as bad as other shoes with the same mileage. The most important question I asked myself about these shoes was, “Would I trust them for a thru-hike or long distance endeavor?” I feel comfortable saying yes! 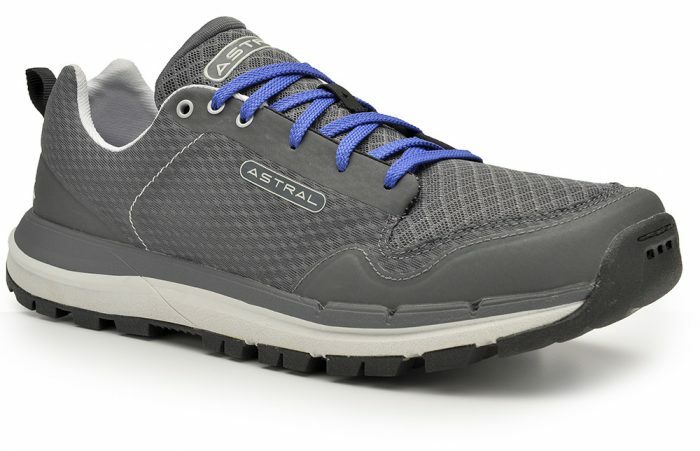 Astral took a bold step with a shoe that serves as the one you’ll need all day, particularly for those who use a different shoe for just about every activity. I can honestly say that my shoe bias has softened during my time with the TR1 Mesh. I feel great knowing that I can tackle anything my day throws at me, without having to consider a change of footwear.